On 10 October Cotswold Downs Estate handed over a very generous donation of R50 000 towards Focus on iThemba’s ‘Project Joy’ classroom drive. The donation amount was accumulated through the Cotswold Leisure Centre’s hole-in-one fund and Cotswold Downs Management Association. Cotswold Downs residents have also been generously donating towards this project. Entokozweni Pre-School is currently located in an existing church building which is cramped, dark and has poor ventilation. The teachers pack up the school every Friday and set up again on Monday so the church can function over the weekends. The architect designed improvements utilize five insulated shipping containers, three for classrooms, one for a kitchen and one for an office. For the first time the children will benefit from flushing toilets, an AstroTurf play area, sand pit, a much-needed jungle gym and thanks to a Cotswold Down resident a trampoline. “This has been a wonderful story of collaboration and we thank our forward-thinking partners; Bidets SACD, Container World, Kerry Ingredients, Belgotex and Cotswold Downs Estate for investing in this school. A very warm thanks to the Cotswold Downs residents who donated to our heart-warming project. To partner with us please do be in contact,” concluded Goss. 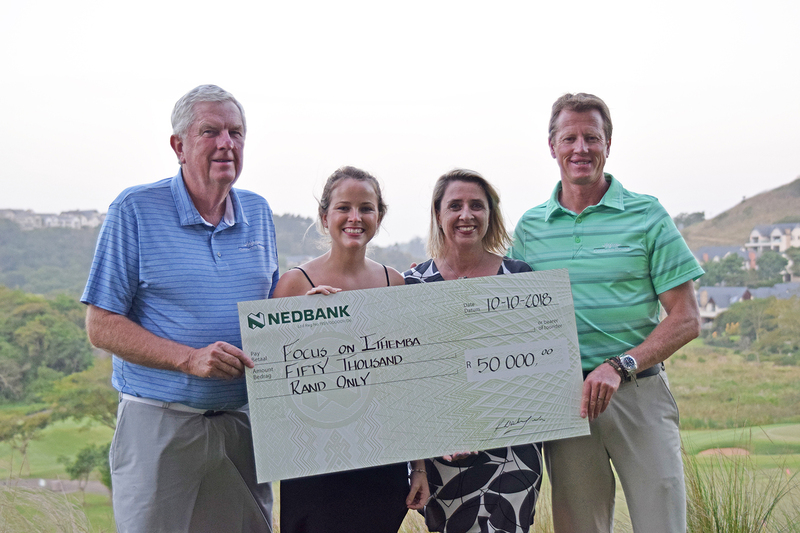 Pictured at the cheque handover from left: Keith Wakefield (Chairman, Wakefields), Tayla-Anne Goss (Donor Relations Manager, Focus on iThemba), Shantelle Walters (CEO, Cotswold Downs Management Association) and Wayne Krambeck (General Manager, Cotswold Leisure Centre).